We're a duo that plays early plucked and bowed strings. Duo Maresienne is no ordinary instrumental ensemble. 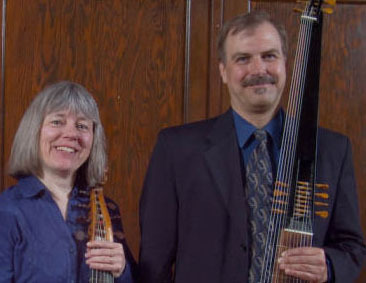 From the intricate Italian and English fantasies of the 15th and 16th centuries to the most spectacular French and German showpieces of the 18th century, the duo treats its audiences to a variety of music for some fascinating and elegant instruments - the lute, theorbo, viola da gamba and early guitars. Named for the great French Baroque composer and gambist Marin Marais, Duo Maresienne explores the musical spirit of Renaissance and Baroque Europe. OLAV CHRIS HENRIKSEN, acclaimed throughout Europe and North America as a soloist on lute, theorbo and early guitars, has performed and recorded with the Boston Camerata, Handel & Haydn Society, Waverly Consort, Boston Baroque, Emmanuel Music, Ensemble Chaconne, and Musicians of the Old Post Road, among others. Recent performances include appearances at the American Antiquarian Society (Worcester MA), Library of Congress (Washington DC), and with Ensemble Chaconne at the Duxbury Art Museum (MA). His latest solo recording, Guitar of the North, is on the Centaur label; his first solo recording, La Guitarre Royalle: French Baroque and Classical Guitar Music, is on the Museum Music label. Mr. Henriksen performs and lectures frequently at the Museum of Fine Arts, Boston, playing musical instruments from the Museum’s collection. He has also lectured at Harvard University, Cambridge; Northeastern University, Boston; Nelson Atkins Museum, Kansas City; Musikkhögskolen, Oslo; Aston Magna Academy, Rutgers University; and Lincoln Center Institute, New York. He has taught at the Boston Conservatory and the University of Southern Maine. Here's a recent video of Olav Chris Henriksen playing at the Boston Museum of Fine Arts. CAROL LEWIS has been called a “zestful and passionate champion” of the viola da gamba. She has frequently demonstrated her musical virtuosity and versatility as a soloist in recitals in the United States and abroad. A former student of Jordi Savall, she is also an accomplished ensemble musician, having toured and recorded with Hespèrion, Boston Camerata, Ensemble Chaconne and Capriccio Stravagante. She recently appeared with Boston Camerata at The Cloisters (New York) and the Rijksmuseum (Amsterdam), and with Night's Blackbird at Tower Hill Botanic Garden (Boylston MA). 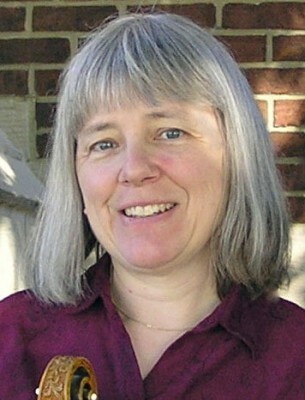 Ms. Lewis teaches a viol consort class at Somerville High School (MA), and she has taught at Festival dei Saraceni (Pamparato, Italy), Milano Civica Scuola di Musica (Italy), New England Conservatory of Music, Amherst Early Music, Pinewoods Early Music Week, and the annual summer conclave of the Viola da Gamba Society of America. She is past president of the Viola da Gamba Society-New England and she was a co-founder of the Society for Historically Informed Performance.